The Absurdity of Bad UX - Harold Tor. I realised that I haven’t written a review on UX for a long time. But UX is not just for apps or programmes, it is in our everyday life. A few days ago, I chanced upon this remarkably irresponsible placement of signs in Ghent, where I live. 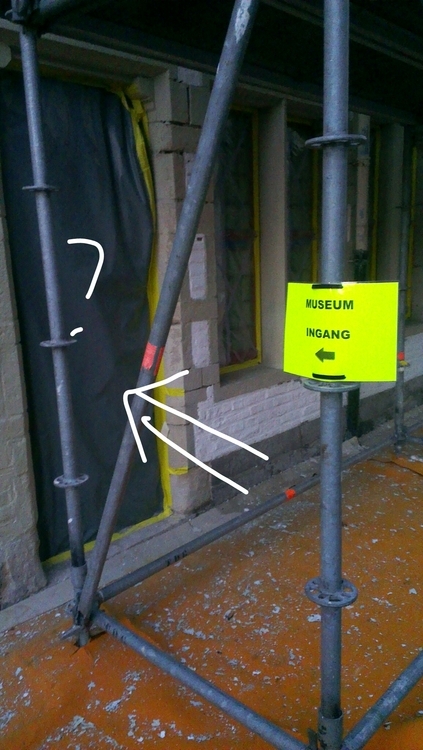 What has happened is that the museum is having some paintworks done, so their workmen placed a sign before their scaffolding to have pedestrians cross the road. On the other side of the road, however, the city administration has erected a temporary bridge. Their workmen placed the same sign, telling people to use the other side of the road, because the limited space is for the bridge and people who use the bridge to cross the river. No one actually thought about what the pedestrians must do. And now, if one really abides by both signs, no one can continue down the road! unity to air your concerns and understand the others’ concerns. Disputes are sometimes necessary to promote understanding. 2. Putting yourself in the shoes of the user and walk around in it: This is a quote from ‘To Kill A Mockingbird‘ by the way. Quite literally, the workmen here on both sides did not do that. One often thinks he or she KNOWS what the user wants and therefore has it all covered when developing an app or a site. ‘We will conduct user testing later’, you say. No, because by that time, if there are big chances to be done it would have been too late. Engage a UX expert to help guide you through the process: colours, fonts, size, messages, language, images.. all that not only smoothens the process of using your product, it also create a subconsciously pleasant experience for the user. THAT is not what you can get out of a later-stage user testing. It takes a lot of humility and curiosity to include UX as part of the equation. But believe me, it is worth your effort, time and money. Before I end, here is another absurd sign from the same place: Three metres further from the actual museum entrance, is a sign that says ‘Museum Entrance’, and it points to a small locked door that is all covered up! Sigh.